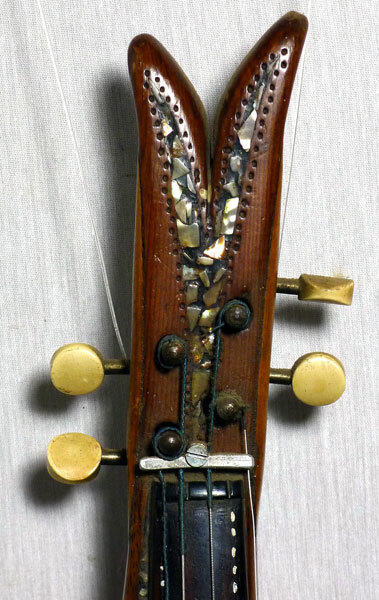 A rare French violin-banjo. An experimental instrument circa 1900 using the comparatively new material, aluminium. 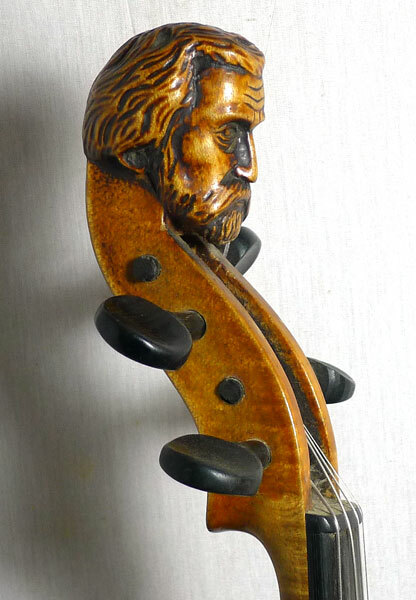 Two vellum heads does not work very well.. .
Violin by Thomas Howell. Bristol. Experimental 1836, but made in some quantity. The bridge is glued on. 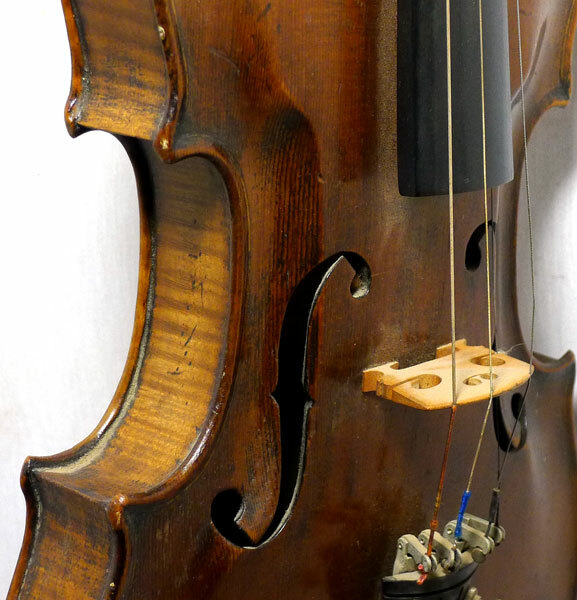 The neck longer for easy high position access.Violas & cellos also made. Very strange fiddle. I would guess this one is about 1900, maybe from Eastern Europe. We have not seen another! 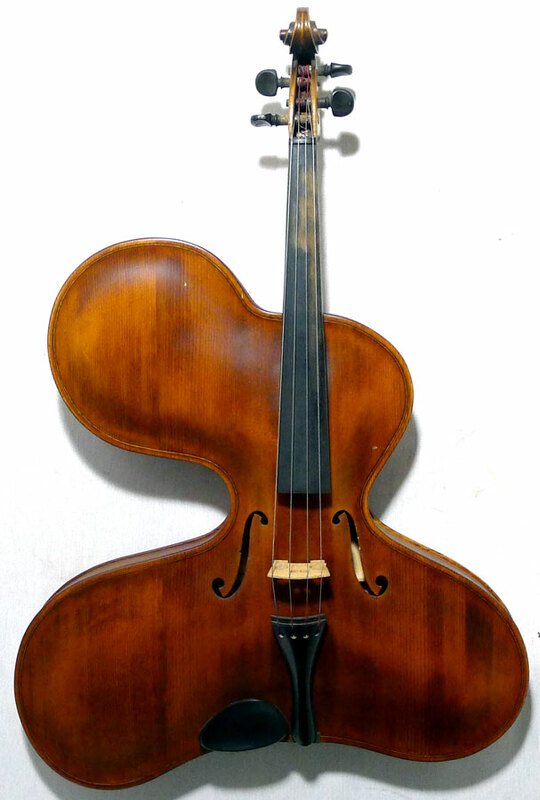 An early 20th century experimental phono fiddle. The body is a curled sound box. 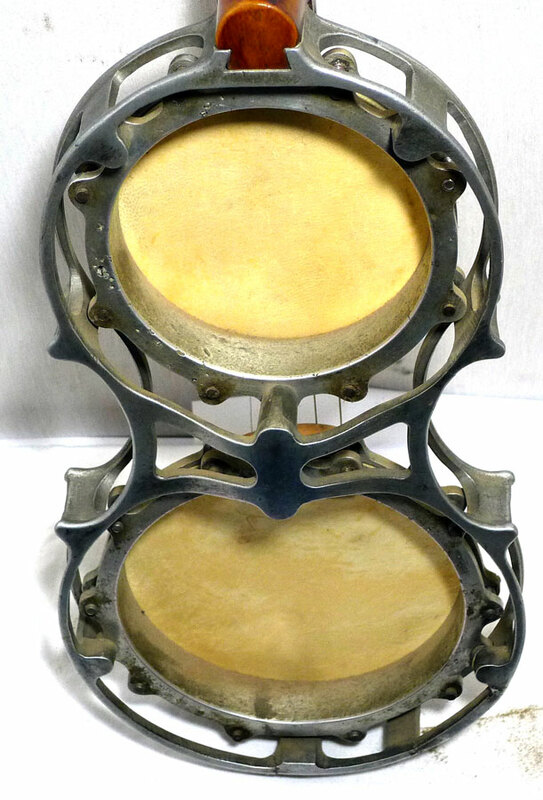 The bridge fitted to a diaphragm. There is a side peg to tension the diaphragm sound transmission arm. 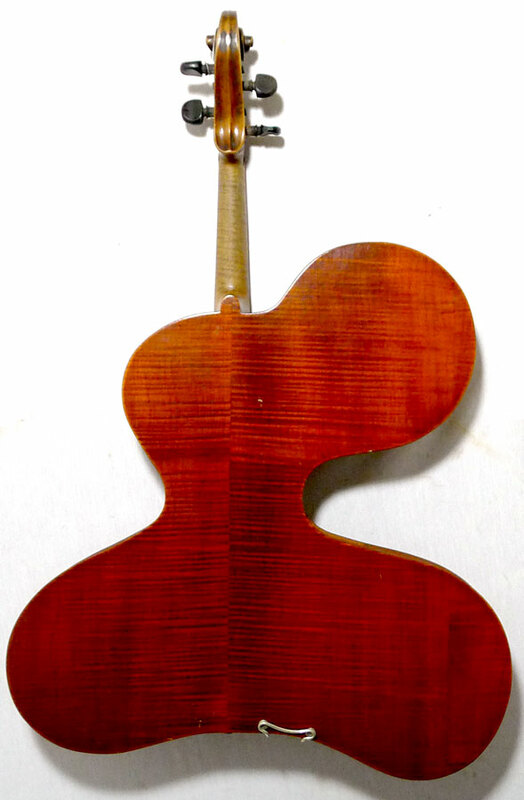 The sound emits from perforations in the violin shoulders. possibly made in USA. Is there another one? 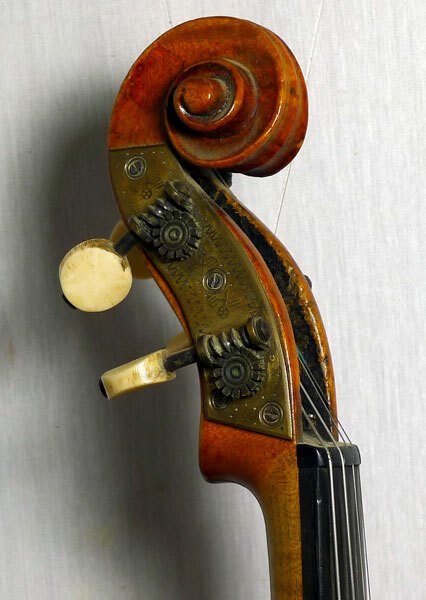 An experimental violin 19th century. The perforated sides act as sound holes. A strange "scroll" and only two corners. 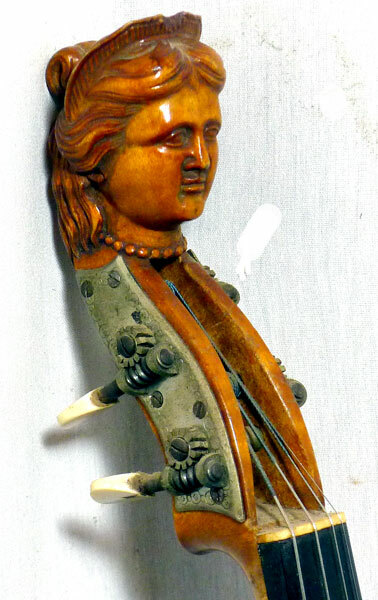 A version of a Philomele or Stahgeige. Late 19th century German. 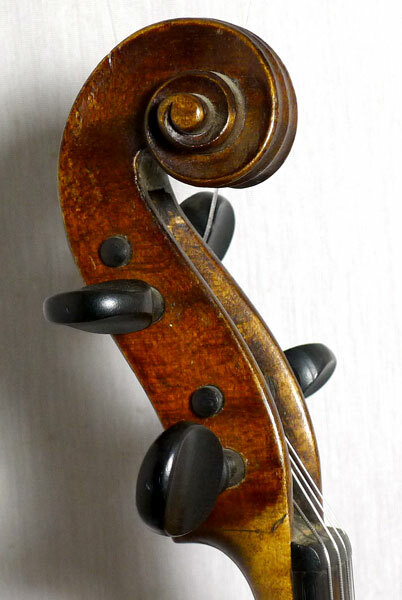 This type of violin always had steel strings for a bright sound. 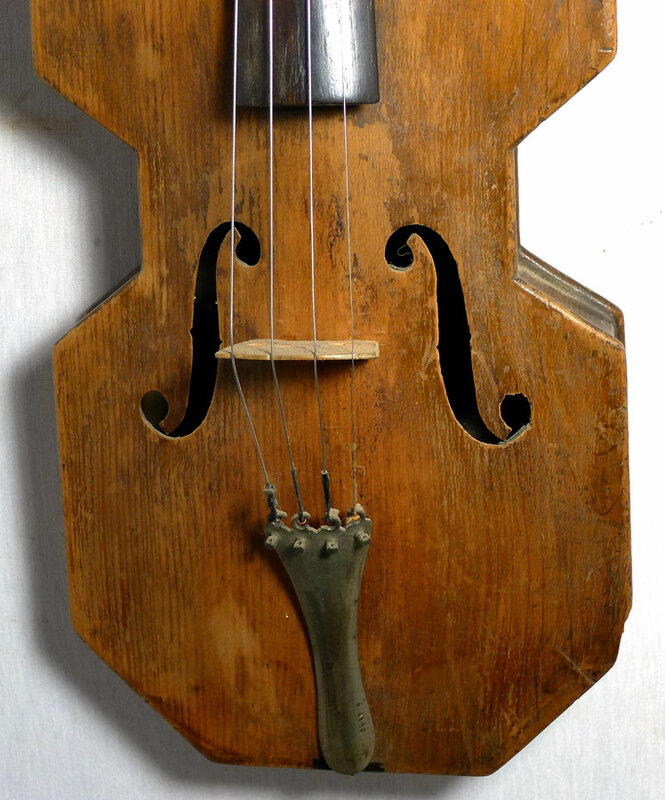 A fiddle made from a clog from the low countries late 18th or early 19th century. Some of these were commercially made for tourists. This one is an original made from a well worn clog. This old fiddle should perhaps be in the pochette section. The body and neck are carved from one piece. 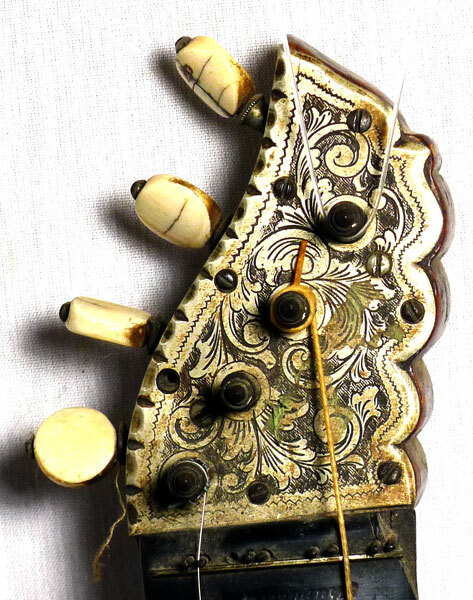 Possibly a buskers instrument. 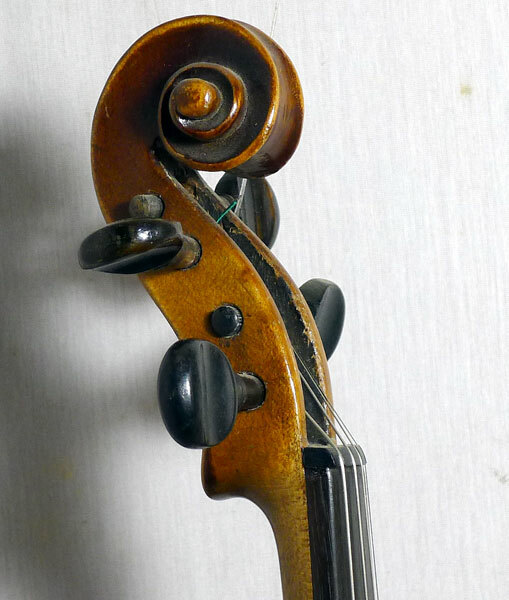 A Russian violin circa 1850s. The original was by Rigart Rubus but many examples were made in Germany for the Russian market. All the body sides are curved and matched on the inside. 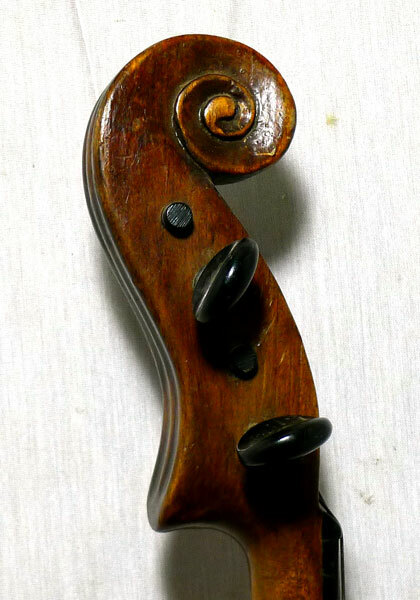 An eccentric violin with angular corners. Not a one off but commercially made, late 19th century. 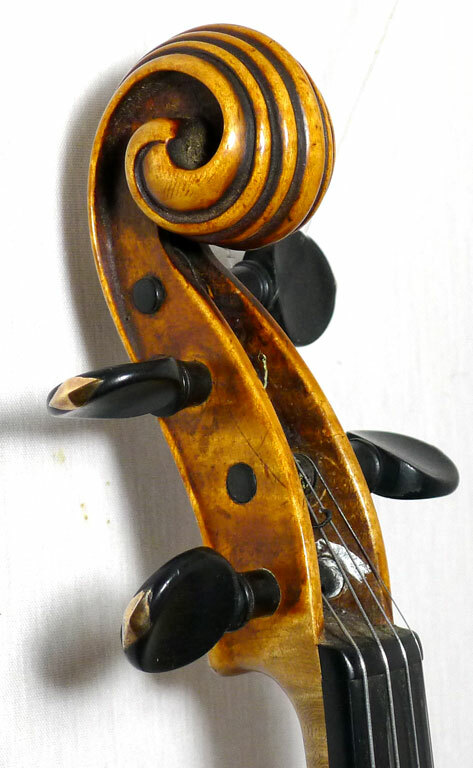 Another 19th century Philomele "lark song" violin. 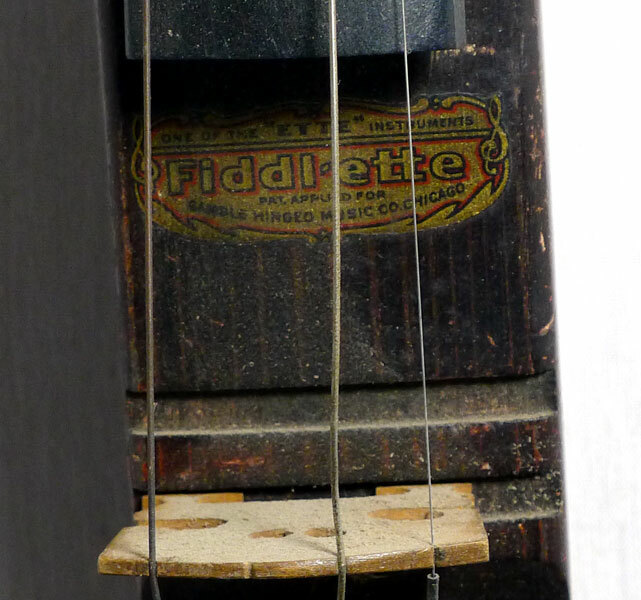 Typically the strings finish at the fixed bridge which is attached to the fingerboard. Flat and thin profile. 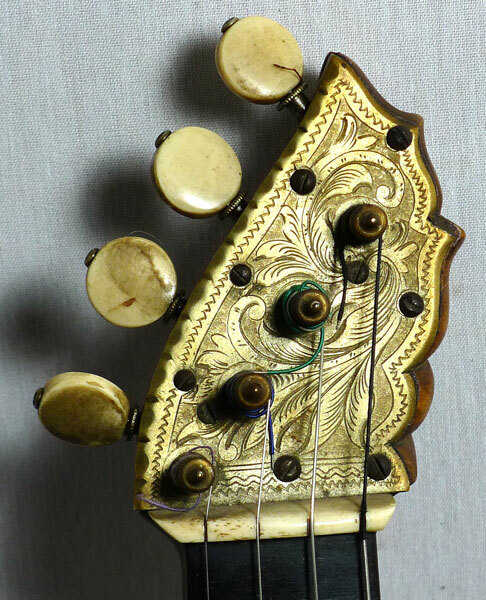 A Streich zither of eccentic violin form Germany circa 1860s. Strung in reverse violin tuning. Laid on its back to play. 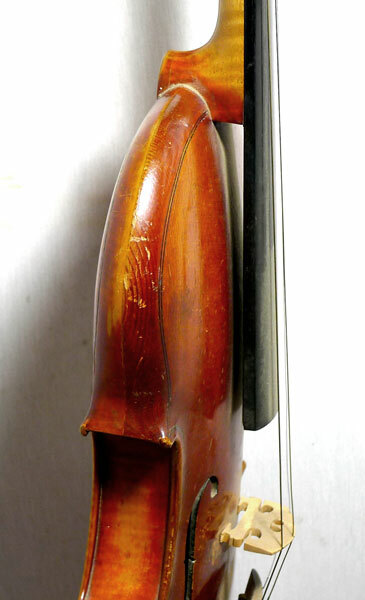 A French trapezoid experimental violin by Felix Savart. Paris 1820s. 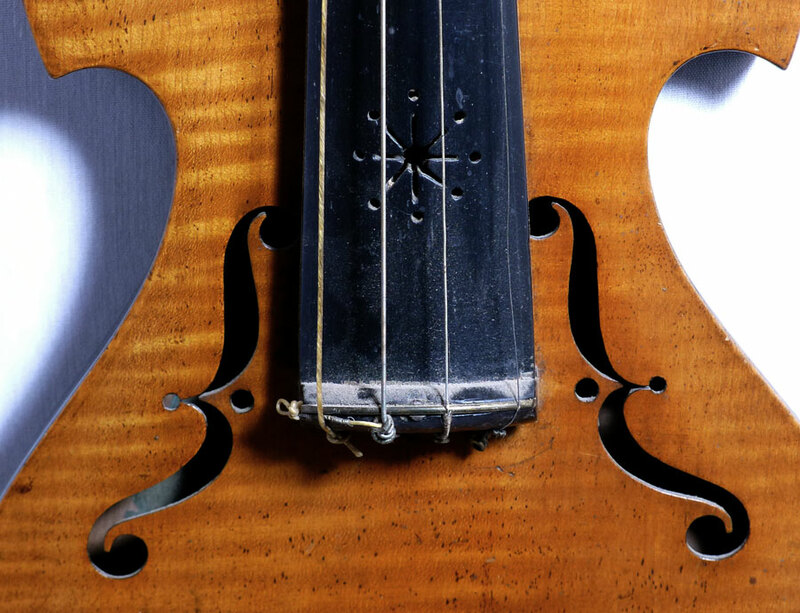 A "rationalised violin". Later American folk examples made. 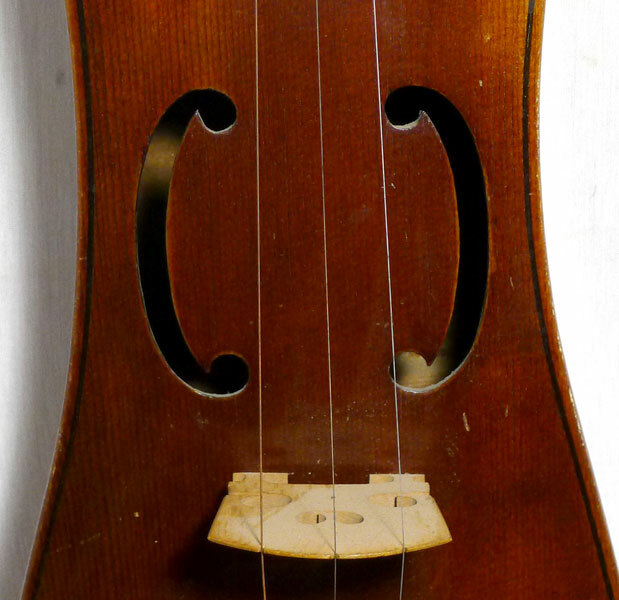 Another 19th century violin, this one of quinton or viol form of a previous century. 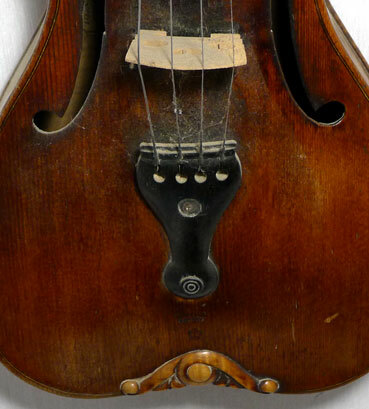 This strange fiddle may be a one off by a mandolin maker. Probably early 20th century. Anyone know? Circa 1850s German with only 2 corners. 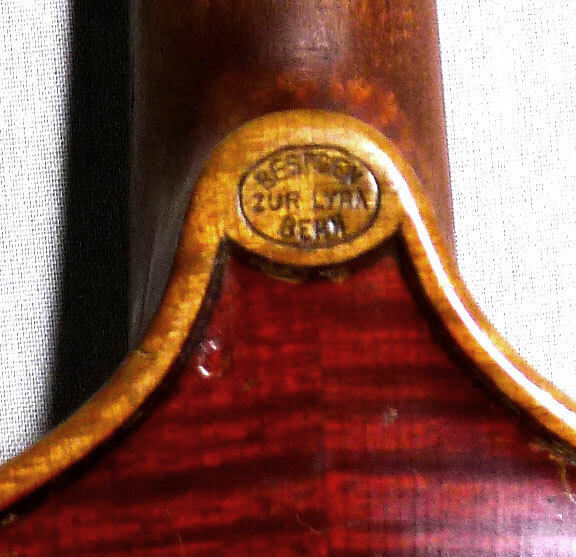 One of many instruments stamped Stainer. 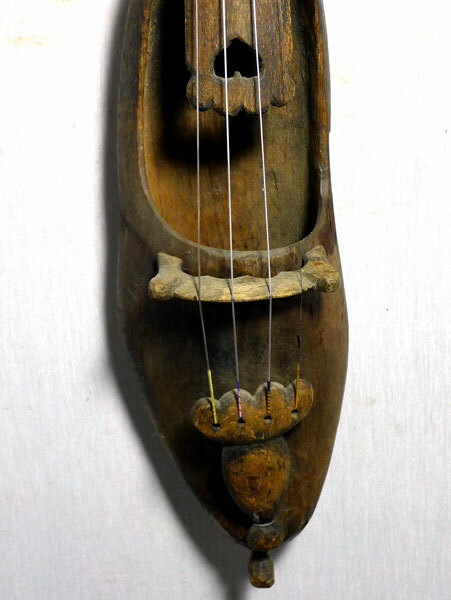 Another Streich zither. This one 8 strings (4 double.) 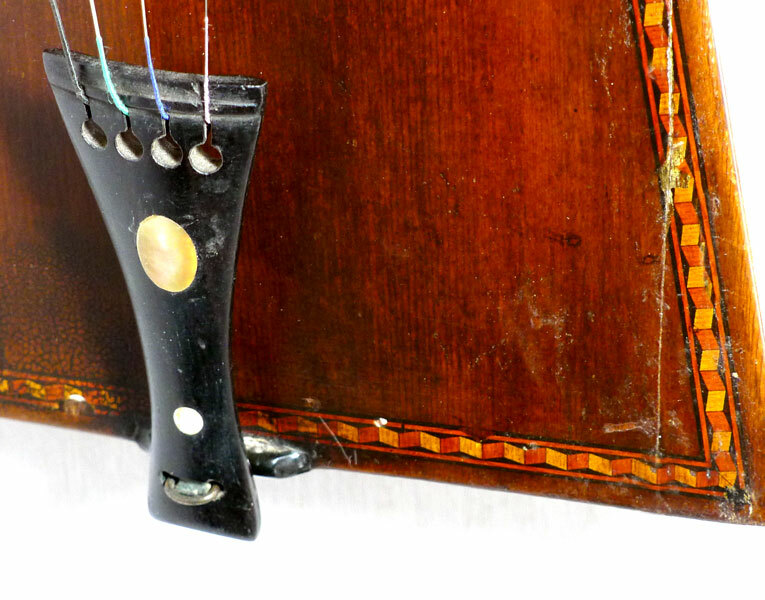 A bowed violin-mandolin-zither ? Circa 1850 by Bestgen. Bern. 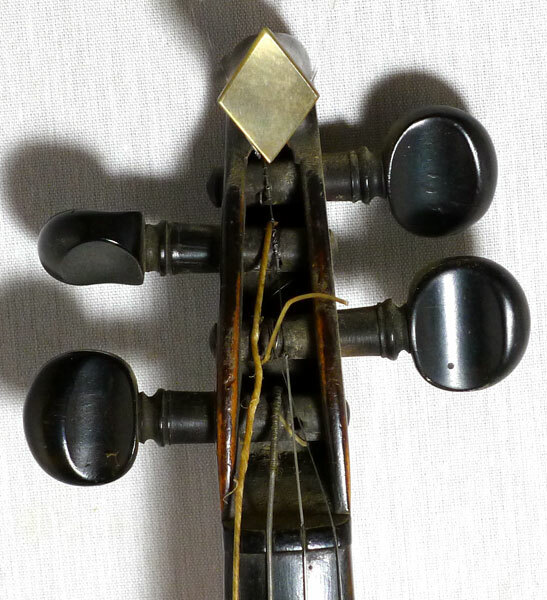 An attractive violin circa 1910, but with machine tuners. They make the balance top heavy but easy to tune. 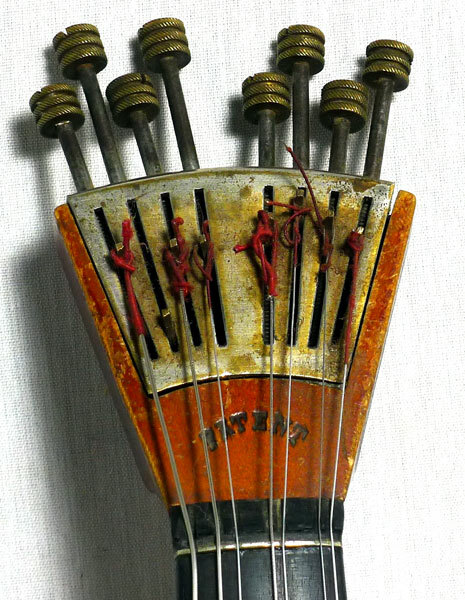 A violin fretted zither c1890. This one was used in a large mechanical automation. There is still a pin from the neck heel for attachment. 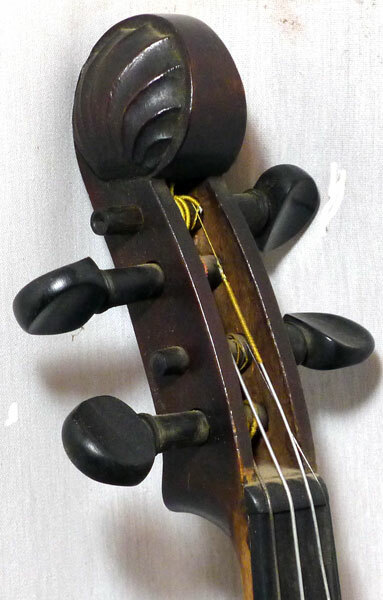 A very rare interesting19th century double neck turnover violin/mandolin.. Unlike many novelty or experimental instruments, this one plays nicely. Probably German origins. 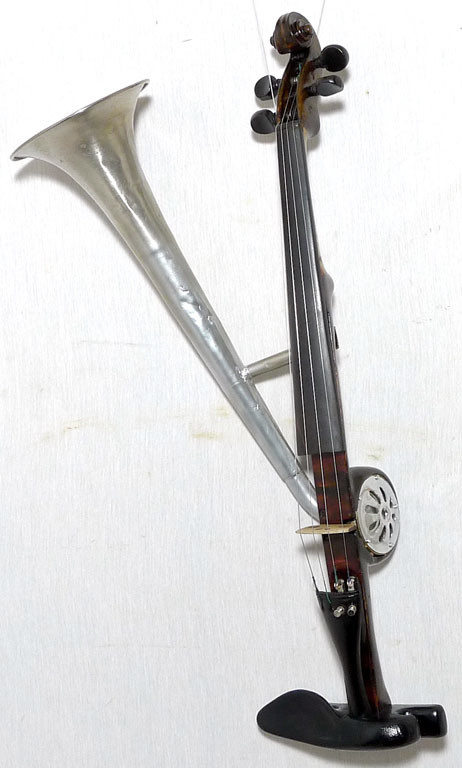 A rare experimental violin of late 19th century. Not a one off but very few made. 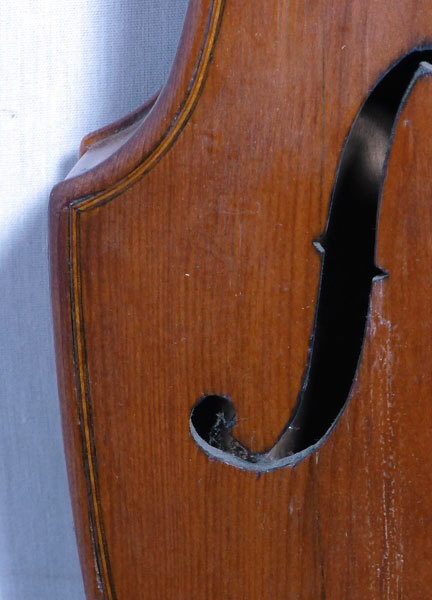 German violin with inverted corners 1920s. Violin, 1906 by Leo Dobriansky, Odessa. Maker/repairer to the czar.